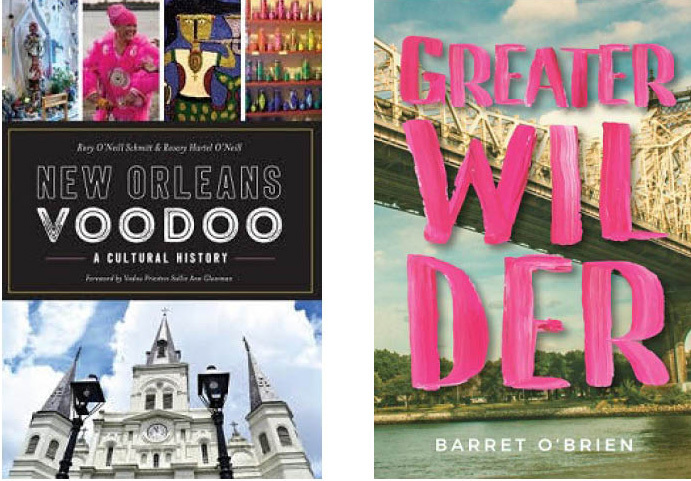 Garden District Book Shop, The Rink, 2727 Prytania St.
Family Trifecta – Mother, Daughter, and Son: Rory O’Neill Schmidt and Rosary Hertel O’Neill, and Barret O’Brien discuss and sign their books, New Orleans Voodoo: A Cultural History, and Greater Wilder. New Orleans Voodoo: There is no more compelling nor more spiritual city than New Orleans. The city’s Roman Catholic roots and its blended French, Spanish, Creole and American Indian populations heavily influenced the rites and rituals that West Africans brought to Louisiana as enslaved laborers. The resulting unique Voodoo tradition is now deeply rooted in the area. Enslaved practitioners in the nineteenth century held Voodoo dances in designated public areas like Congo Square but conducted their secret rituals away from the prying eyes of the city. By 1874, some twelve thousand New Orleanians attended Voodoo queen Marie Laveau’s St. John’s Eve rites on the shores of Lake Pontchartrain. The Voodoo tradition continues in the Crescent City even today. With a forward written by Sally Ann Glassman. Greater Wilder: Meri practices psychotherapy in New York, Guy teaches history in Mississippi, and their twenty-year-old son survives on a cocktail of antidepressants and rarely ventures outdoors. But when the boy abandons his meds and disappears on foot into America, Guy and Meri are forced to work together to untangle a stream of consciousness letter he sends from the road, a letter that plunges the couple back into their 30-year attempt to create a 21st century family. Students will learn the basics of fiction writing with local award-winning author Stephen Rea, a native of Belfast, Ireland. All levels of writers are welcome to this class, whether you are a beginner or a seasoned writer looking for tips on how to expand and improve your skills. For ages 18 and older. Mesha Maren in conversation with Morgan Babst discussing her book, Sugar Run. Mesha will sign books afterward. Octavia Books, 513 Octavia St. 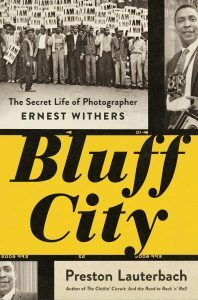 Award-winning author Preston Lauterbach returns to Octavia Book to present and sign his new book, Bluff City: The Secret Life of Photographer Earnest Withers. Ernest Withers was a crucial witness to the cultural upheavals of the 1950s and ‘60s. A gifted photographer, he combined a storyteller’s eye and an uncanny ability to bond with his subjects, resulting in a powerful visual record of the Civil Rights Era. 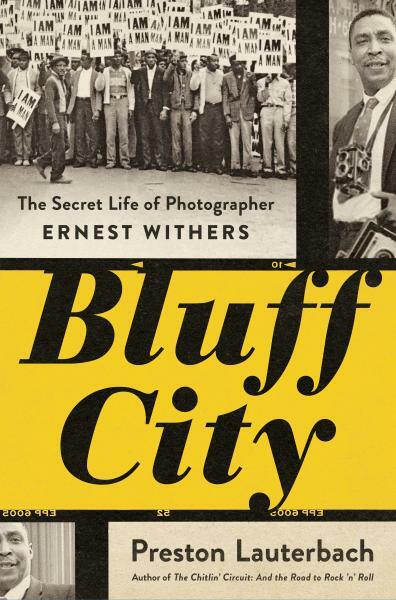 But he had a secret: while creating key images of the Civil Rights Movement, Ernest Withers was acting as an informant for the Federal Bureau of Investigation. In Bluff City, Preston Lauterbach examines this conflicted life and complicated legacy, grappling with the question of how a single artist could lionize and immortalize a movement he genuinely supported and simultaneously conspire with the very forces determined to crush it.